I think one of the most exciting aspects of living in a foreign country is experimenting with food and trying new flavours. Because there’s no better food than curiosity. Since I’ve been living in the UK, you can’t help but notice British culinary habits. It’s fascinating, for example, the way in which Brits add butter to almost everything, or their fondness for crisps, chips or strange sauces, such as brown sauce, which I’m sure no one outside the UK has ever heard of. What’s more, I like having dinner in pyjamas and slippers while watching EastEnders with my English house-mates, ordering a take away curry from a random flyer found on the doormat (I once expressed my concern about the risk of food poisoning, but no one else seemed to share my same worries) or being offered a nice warm cuppa when I feel under the weather. I thoroughly love British culture. When I left Italy to move to London, I just planned to stay in the country for few months, to live for a bit in the coolest city in Europe. Then, I just felt in love with British eccentricity. A classic Italian dessert, chocolate salame – salame di cioccolato. These are busy times for cooking addicts. The first chilly winter days make us spending more time indoors, looking for indulgent food – yes, we can and after all we have at least 6 months of heavy clothes to hide those couple of extra kilos – Nigella’s new food show has just started on the BBC and the UK is celebrating its sweetest weeks of the year. 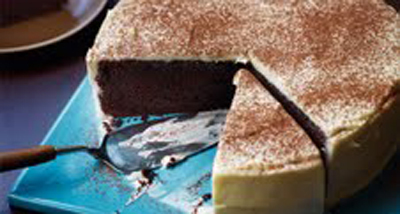 The week just gone was national chocolate week and this one is national baking week. I was inspired for this week’s sweet recipe by an interesting new exhibition, Pre-Raphaelites: Victorian Avant-Garde, which has just opened its doors at the Tate Britain in London. From a group of artists who rebelled against the establishment of their time to a group of activists for the Italian unification. So, it was born the Risorgimento Mazzini’s Almond Cake. Pre-Raphaelites works are astonishingly beautiful: although the group was founded just in the first half of the 19th century by a group of artists in England, who called themselves The Pre-Raphaelite Brotherhood, they looked exquisitely classic. The group was led by the poet and painter Dante Gabriel Rossetti among others. He belonged to the English liberal elite of his time and he was son of Gabriele Pasquale Rossetti, a poet himself. Dante’s father was forced to leave Sicily for the land of Albion because of his support of liberal causes, his attacks against the Monarchy and his bitter critique against the Vatican. The Pre-Raphaelites also held revolutionary ideas and challenged the status quo of the time. Their radical style, inspired by the purity of early Renaissance painting, defied convention and provoked critics. Visiting Sicily has always been a dream of mine but for one reason or another it has never happened. 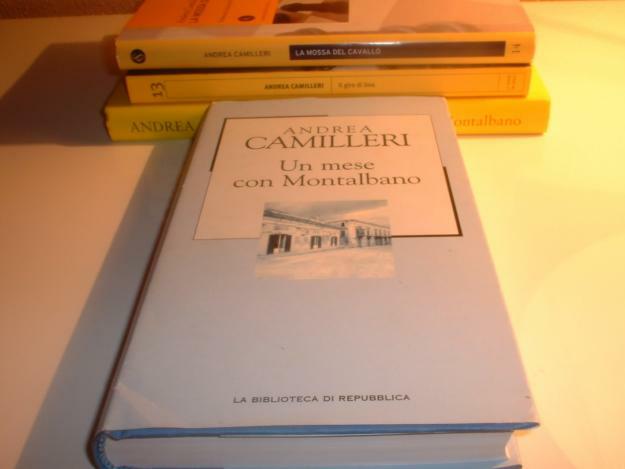 Until when I discovered Montalbano, the rough inspector, created by the pen of Camilleri, not only one of my favourite (living) Italian writers, but also one of the most famous worldwide. Popularity well deserved, considering that The Daily Telegraph has listed him in the “50 crime writers to read before you die”, alongside authors such as Sir Arthur Conan Doyle, Agatha Christie and Georges Simenon. I had just turned 18, it was an age before Facebook and Twitter, and for the first time in my life I was allowed to go on holiday alone. With a bunch of friends we decided to travel all the way down to South of Italy. Starting from my home town, Turin, we planned to follow the West coast and reach the far end of the booted shaped peninsula in Calabria. We had a month, a car, tents, sleeping bags and very little money.